Elevator accessible, Grand Caribe’s “3 Bedroom Ocean Front Deluxe” Condos are located on the 2nd, 3rd or 4th floor, directly at the water’s edge. 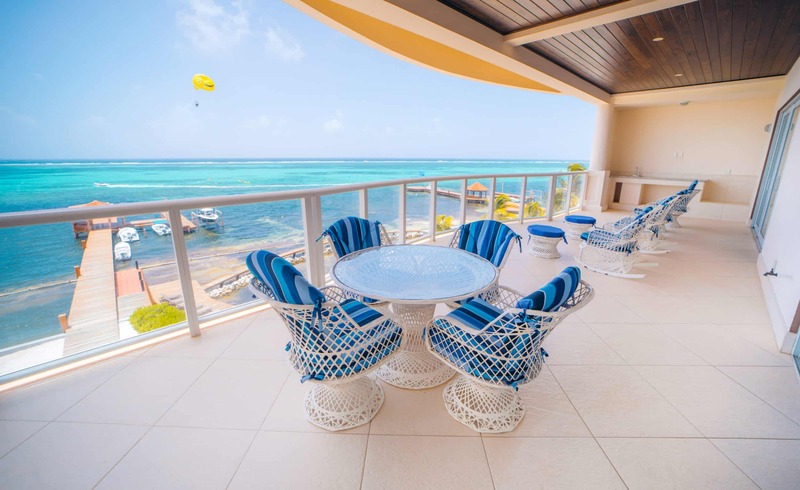 Unwind and enjoy breath-taking, panoramic views of the Caribbean Sea and the Belize Barrier Reef from the grand veranda that extends the full width of the condo. 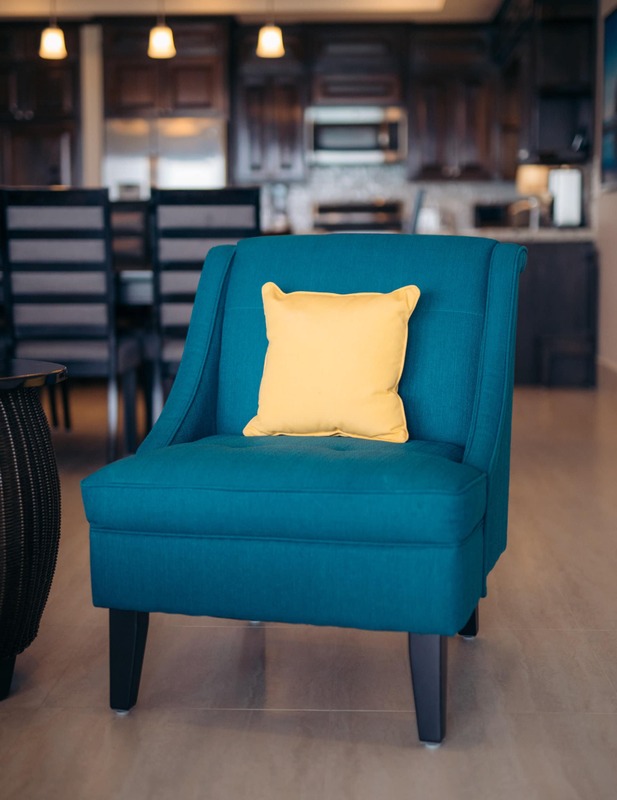 This spacious and elegantly decorated 3 bedroom offers over 3,000 square feet of living space, comprised of 3 bedrooms, each with their own private bath, an open-concept living room, dining room, kitchen and large wet bar. 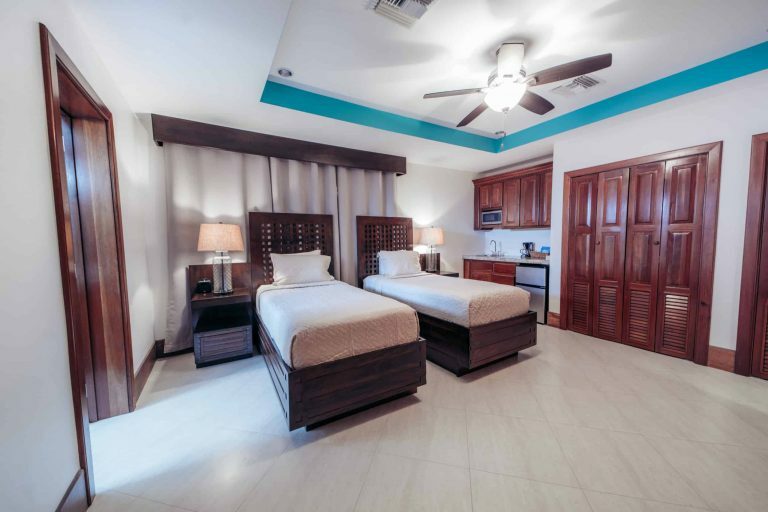 From the master bedroom sitting area, take in the fabulous Caribbean view, as you indulge in morning coffees and spectacular sunrises! Two of the three bedrooms overlook beautifully landscaped grounds and offer sunset views. 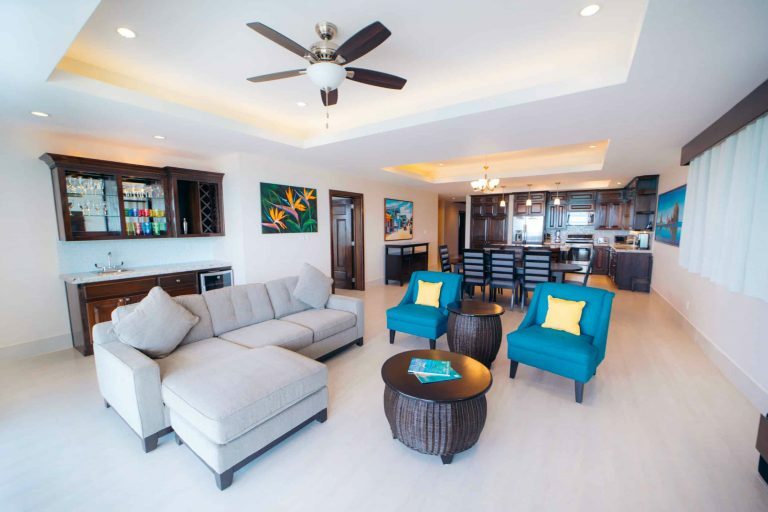 This 3 bedroom offers all the amenities of home, the luxury of resort life, and the atmosphere of island living! We loved our stay at the Grand Caribe. The service was outstanding... The pools are beautiful, clean and just what you want on a vacation. Our room was huge--very comfortable for our family of 6 with incredible views of the light blue sea.